This is my favourite casual dumpling place in Chinatown. 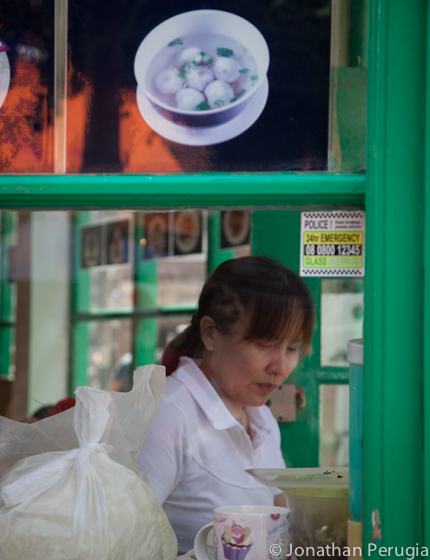 When you pass the green-fronted café you’ll spot a lady in the window, who’s folding fresh dumplings. These are some of the best dumplings in town. I always order a bowl of boiled Beijing dumplings (with pork and ginger) and a bowl of fried vegetarian dumplings. Drizzle the fried dumplings with a bit of vinegar before dipping them in soy sauce and chili oil – amazing!